The Federation has acquired cloaking technology. The Empire has cloaking technology as well, but there is no on-screen evidence that the Rebel Alliance has cloaking tech. Star Trek Cloaking technology is far beyond anything the Rebels have or have the ability to overcome. The Federation is prohibited from using Cloaking Devices, by the treaty of Algeron. The one exception is the Defiant (DS9). 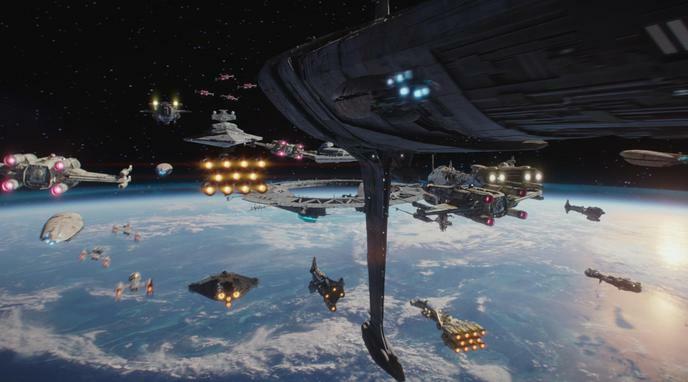 As a single exception, this would not be a decisive factor against the Rebels, especially as cloaking tactics and sneak attacks are not Federation tactics. When the Milennium Falcon evaded a Star Destroyer in The Empire Strikes Back, an Imperial officer said in disbelief "No ship that small has a cloaking device". Not "the Rebels do not have cloaking devices". The implication is that the Falcon's disappearance from their scanners is surprising because of its size, not because cloaking is inherently unlikely.